Got beauty troubles? We all do. In the Pikle is here to save your day. Now it’s not as cute as Superman coming to save your day, but it sure is close. 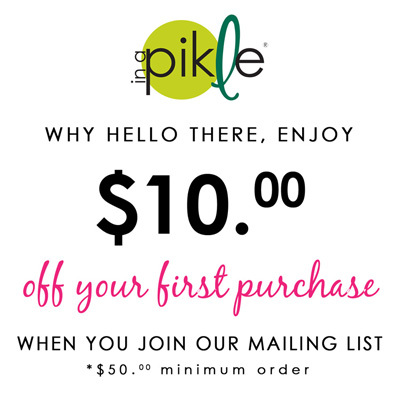 In a Pikle is like a first aid kit for the beauty conscious. Compact and easy, friends Tamara Foster and Marianne Porter thought of In a Pikle when Marianne gave Tamara an “emergency kit” gift created out of a simple hot pad and snack baggies.